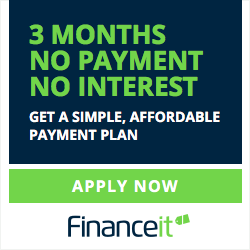 Your home project or repair might seem out of reach but our partnership with Financeit makes it easy. Get approved for affordable and flexible payment options in just a few steps. After the private and secure approval process is completed, Financeit will get the green light from you to transfer the funds so we can book your project! Not sure how much your project will cost? No problem, get in touch with us for a free quote.